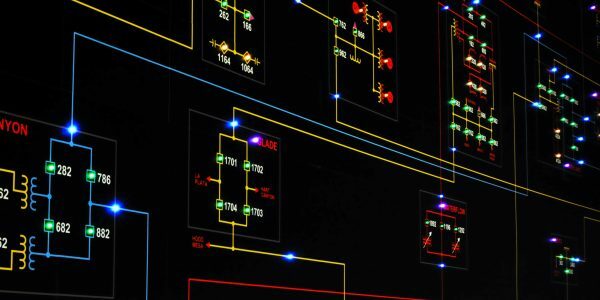 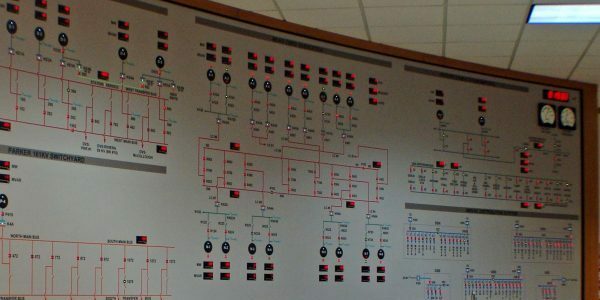 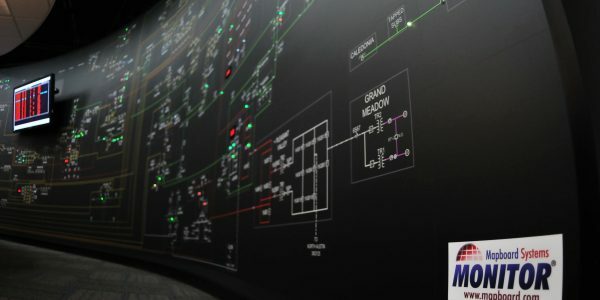 Real-Time System Mapboards are effective in providing System Operators with dynamic system status ‘at a glance’. 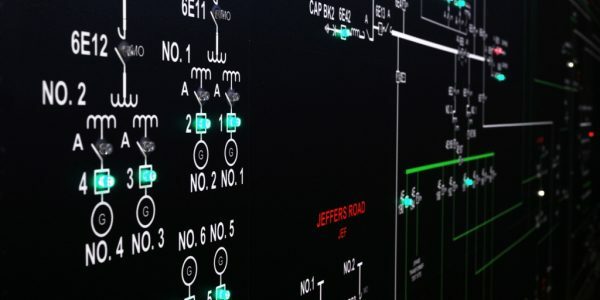 The Monitor system features a simple interface to SCADA through a control system that utilizes multi-core 32-bit microprocessors for high-speed embedded processing. 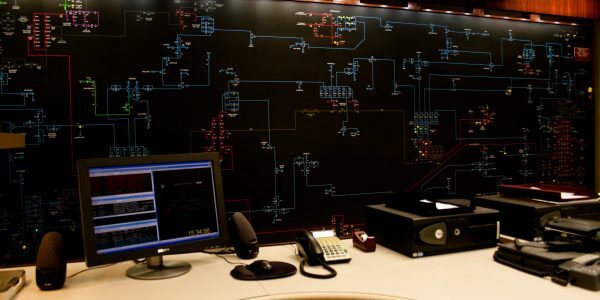 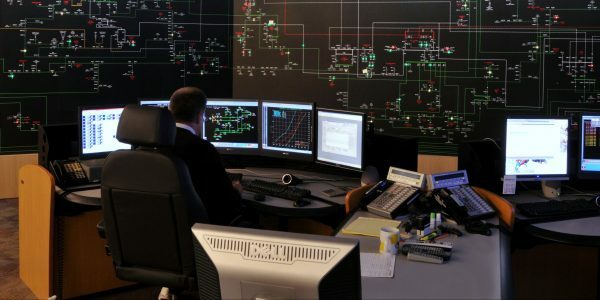 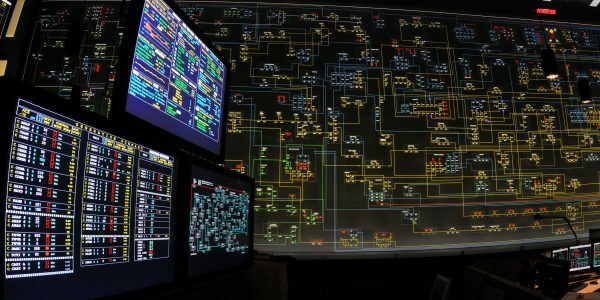 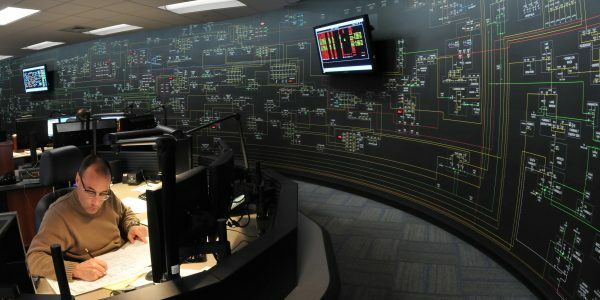 The system of multiple controllers, inter-connected with an industry standard EIA-485 high speed network, provide for distributed processing and fast updates. 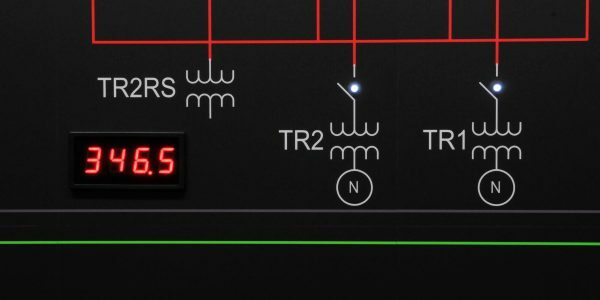 Immediate changes in status of switches, breakers, line loads and other equipment in the field are presented to the System Operator quickly through hi-output RGB LED’s, BCD displays or other measurement equipment. 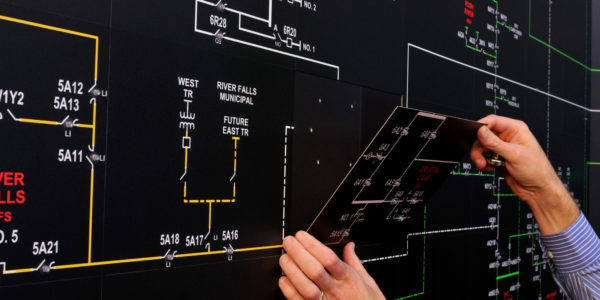 If you are in the technology evaluation phase of replacing an aging video wall or dynamic mapboard, please contact us via the portal provided on this page as we would appreciate being part of your discussion.